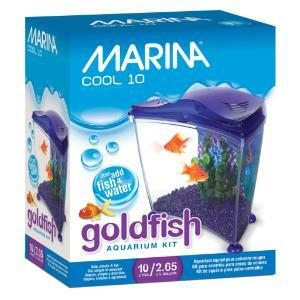 The Marina Cool Goldfish Starter Kit is fully equipped to provide a simple, fun and safe fish-keeping experience all you need to do is add fish and water! Easy to setup and maintain, this starter kit is perfect for beginners. Once assembled and populated, it provides a great home for your fish and makes a trendy and attractive addition to home, school or office settings. 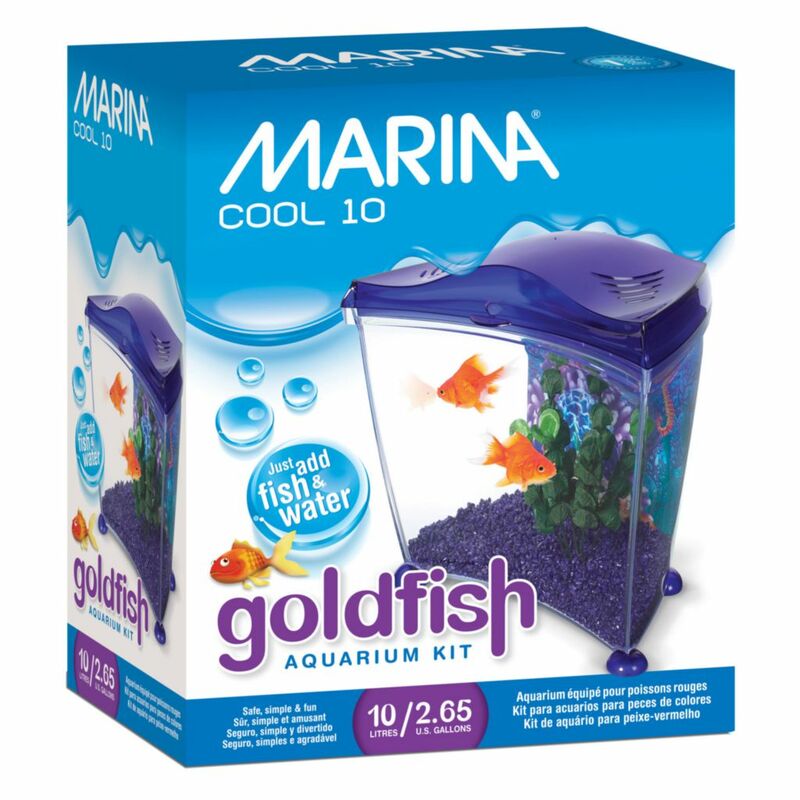 The Marina Cool Purple Goldfish Starter Kit comes complete with a 10 l (2.65 U.S. gal.) stylish, plastic purple tabletop aquarium, an easy-to-maintain filter with a quick-change cartridge system, nutritious goldfish flake food, tap water conditioner, biological aquarium supplement, a silk plant, a double-sided background with beautiful color-rendered aqua-scenery, and matching gravel.